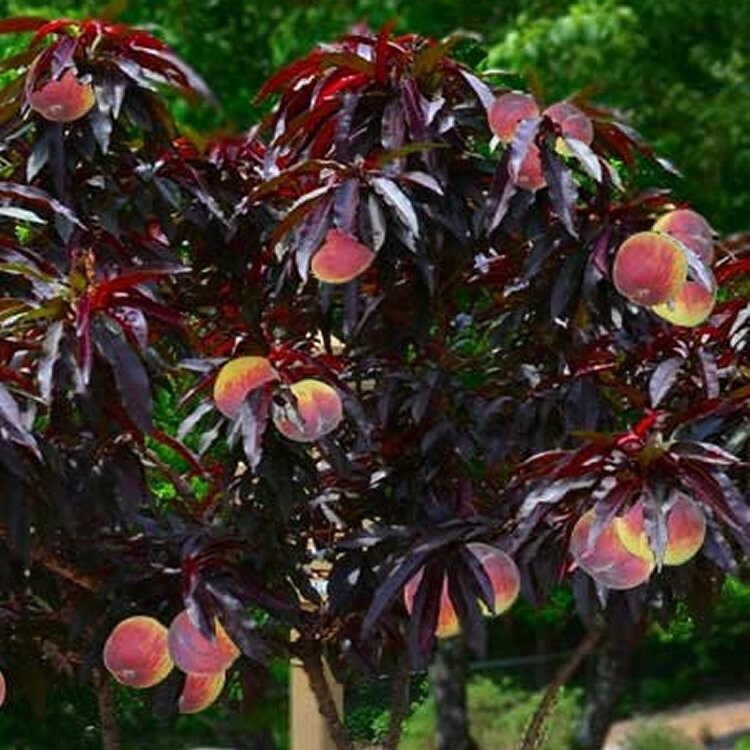 Stunning rich purple leaf colour, beautiful pink blossoms in Spring, and heavy crops of delicious fruit make this fantastic dwarf peach not only very useful, but also a great ornamental plant for the patio. 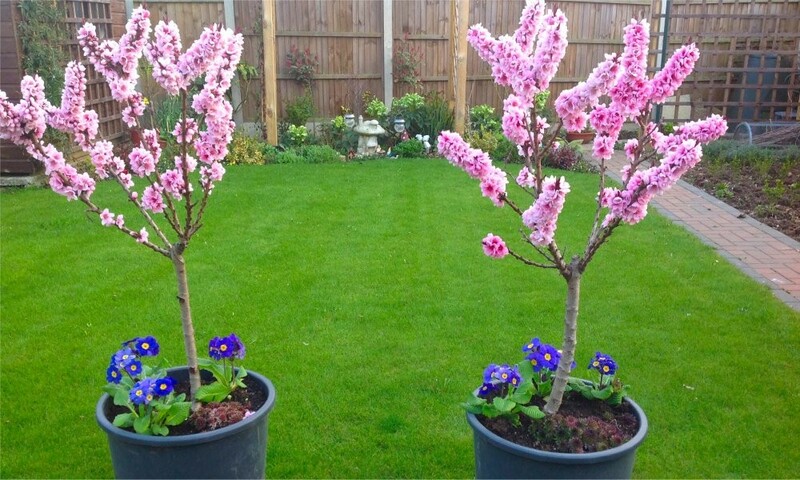 Imagine relaxing outside in late Spring, with the heavenly sweet scent of Mediterranean peach blossom filling the air. 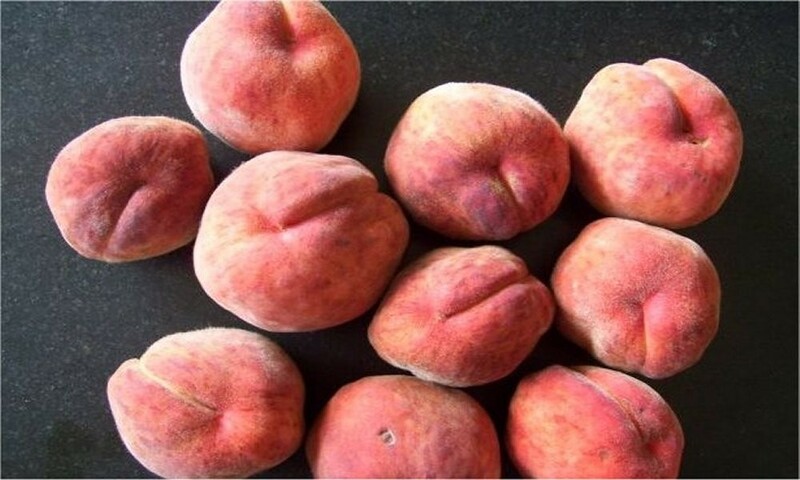 Then in late August, reaching out and picking one of your very own delicious, juicy ripe peaches! 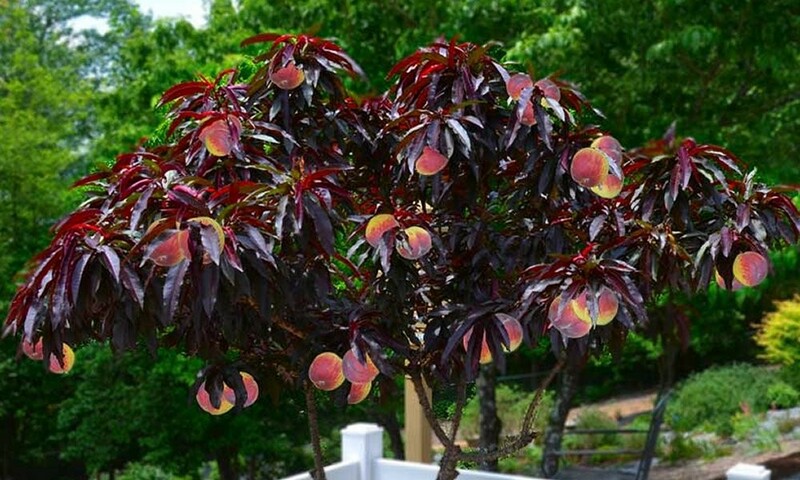 This stunning compact peach tree is so easy to grow, perfect in a pot and because it flowers later than many varieties it fruits much more successfully too. 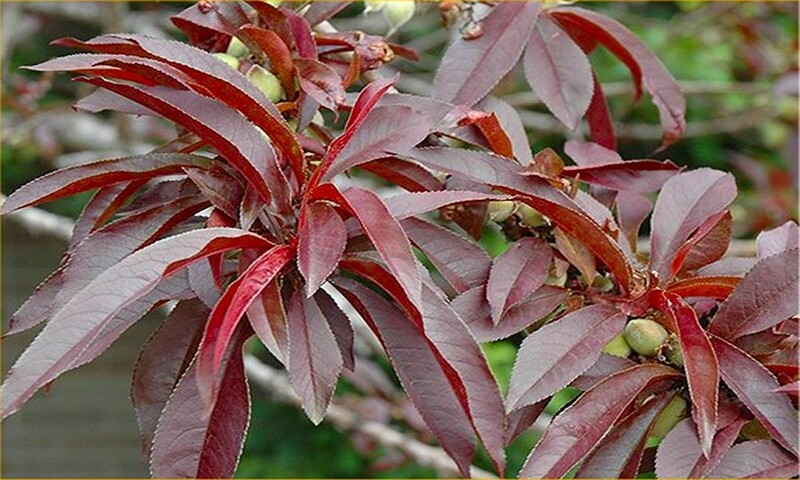 A beautifully symmetrical shaped tree its foliage has a delightfully rich burgundy colouration. 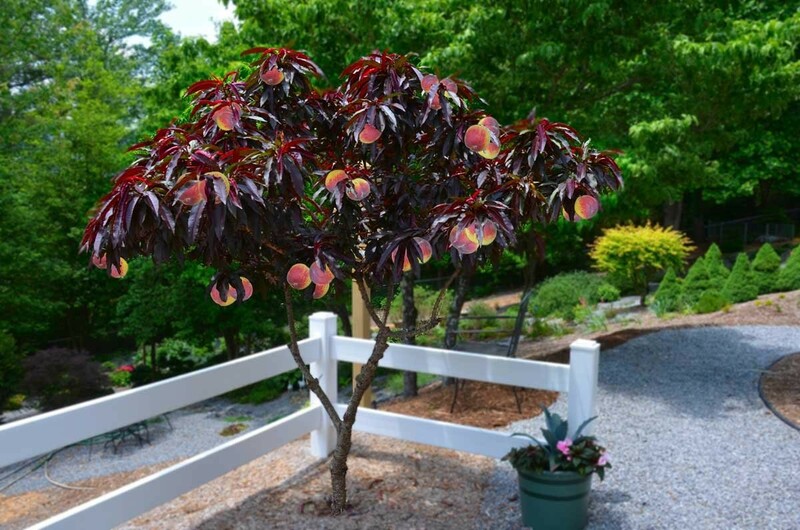 Combined with the golden orange and crimson red peaches it makes a particularly exotic and decorative addition to any patio. 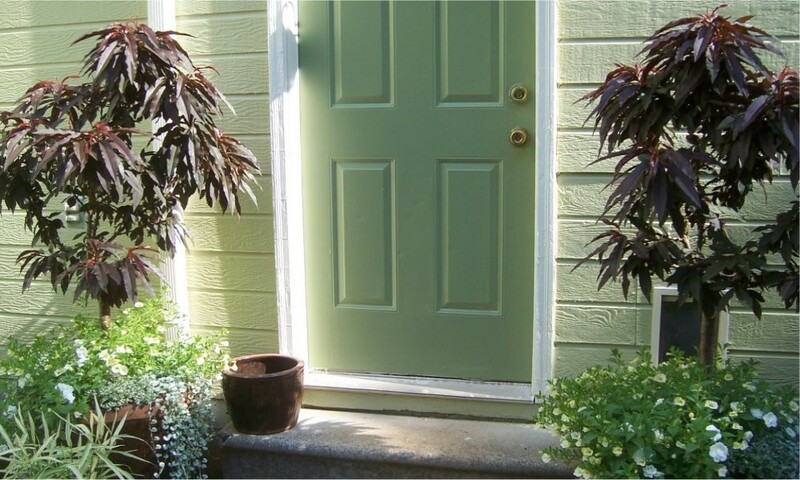 The colour combination of the glowing golden orange and crimson red fruit and the startling foliage will add a real blaze of colour in the garden too, reminiscent of a scorching bonfire. the Completely winter hardy no matter how cold it gets, you can look forward to your very own harvest of home-grown peaches for years to come. Reaches a maximum height of around 1.2-1.5 metres. 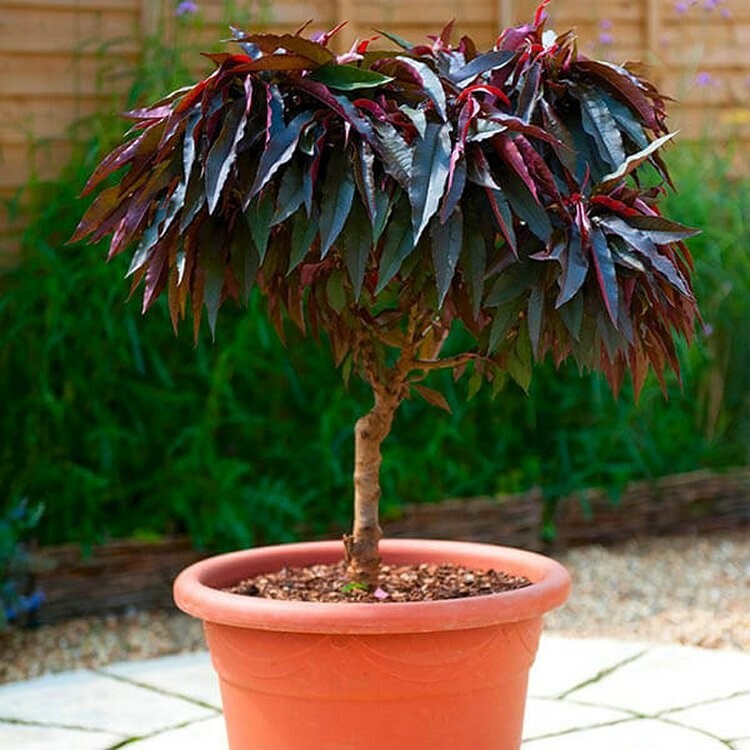 Supplied in at around 70-100cms tall, as strong well branched dwarf trees.